Add gift wrap and gift card for £2.00? 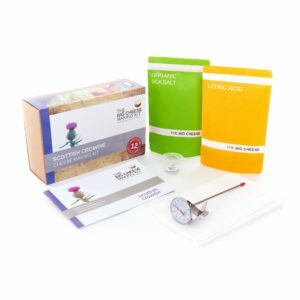 The Scottish Crowdie Cheese Making Kit is beautifully designed, simple to use and fun introduction to cheese making. 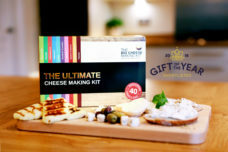 It’s the perfect foodie gift! 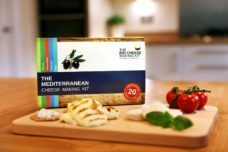 Said to be Scotland’s most ancient cheese, Scottish Crowdie dates back as far as Viking and Pictish times when it was made by every crofter in the Highlands of Scotland. The more traditional method for making Crowdie in those days would be to slowly warm a bucket of milk (straight from the cow) by the fire until it soured and curdled. Interestingly, Thistle was historically used as a form of rennet. We think you might enjoy our method more. 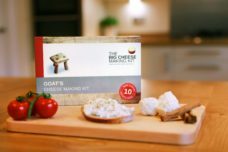 The cheese was often eaten on oatcakes before a Ceilidh as it was said to alleviate the effects of whisky drinking! There’s recipes for a smooth and creamy version, and a firm and crumbly version. 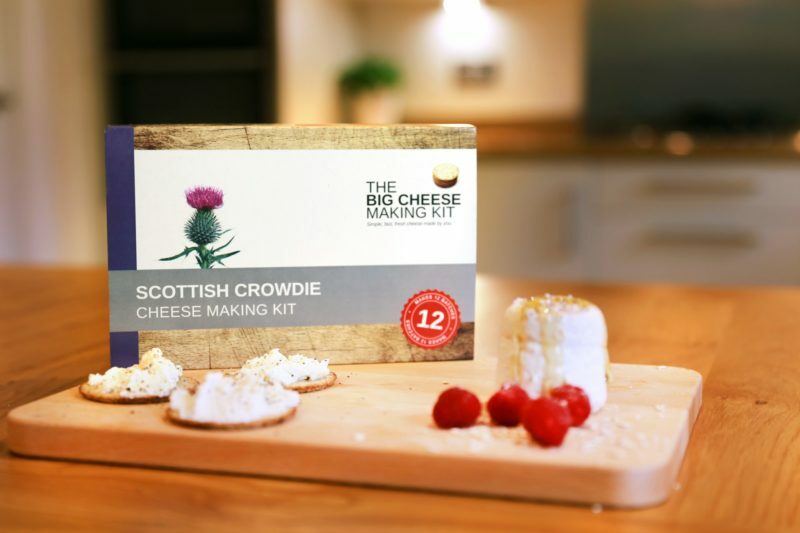 Scottish Crowdie can be used in both sweet and savoury dishes, it’s a hugely versatile cheese! There’s enough ingredients to make 12 batches, with each batch weighing around 900g. There’s no need to make it all at once though… that would be a crazy amount of cheese! 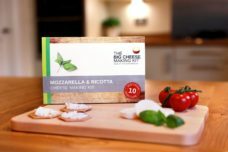 Stored in your cupboard this kit will last absolutely ages (well over a year) so you have plenty of time to enjoy it and dip in and out of cheese making. 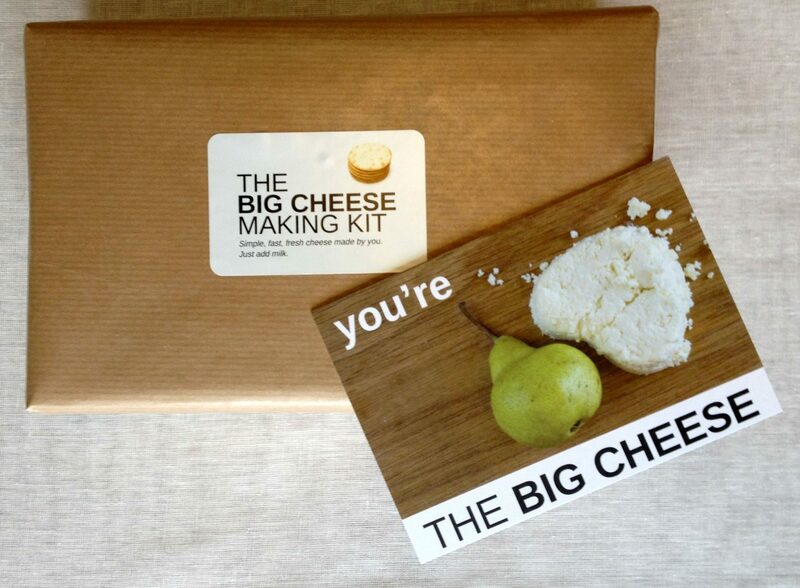 Buy one today and join the cheese making revolution! See ingredient list belowfor potential allergens. Packaged in an environment where trace elements of nut may be . 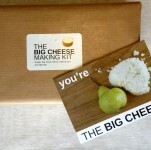 At Big Cheese HQ we think it’s nice to be nice, so we post our Kits FREE via First Class Royal Mail to mainland UK. Throughout the year they’ll take 3-4 working days to arrive, though at busy times (like Christmas) Royal Mail can take up to 2 weeks, so make sure you order in good time! If you need your Kit in a hurry, we offer a courier signed for service at a cost of £4. We use UPS who usually deliver within 1 working day on orders made before 1pm, though it may be 2 working days depending on your postcode. Should you order two or more Kits, we’ll upgrade you to our courier service FREE of charge!